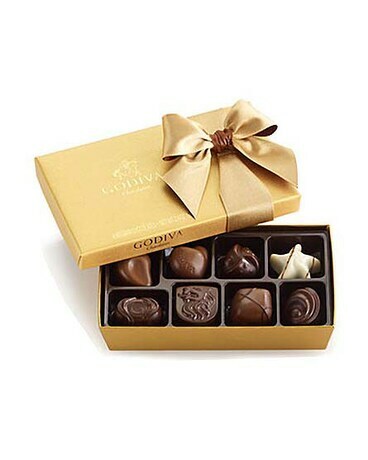 8 piece Gold Ballotin box includes a variety of GODIVA milk, dark, and white chocolates with classic Belgian fillings such as silky ganaches, creamy pralines, rich caramels, fruits, and nuts. Finished with a classic gold ribbon. 8 pieces (3.4 oz. ).